If you are relocating within Australia, our interstate removals specialists are here to help you make the transition as smooth and easy as possible. No matter how great the distance, we ensure the safe delivery of your goods by employing extra wrapping and protection techniques & measures which most other interstate removals companies do not use. At Roadways Removals, interstate removals is our area of expertise whilst maintaining backloading prices for our clients. We know how stressful it can be when moving interstate and that is why in all cases your interstate removals should be organised by professionals such as ourselves to ensure a smooth transition, not just for your goods but for your family as well. 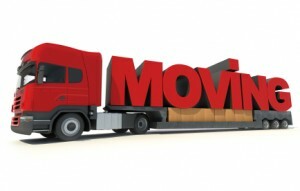 Whether you require interstate removals or want to have sole use of the truck, we have it covered! All of your interstate removals requirements can be met and no job is too small or large. Choosing the right moving company for your interstate removals will be the most important decision you will make when moving interstate. Roadways Removals was created with a passion to help people move through-out Australia with the best possible service. All our vast experience and knowledge combined with the feedback we constantly request from our clients allows us to create an environment where we can tailor an interstate removals package for any interstate moving requests and within your budgeting needs.